Numbers can either make or break a business. Keeping all the records straight is often time consuming and ineffective. Don’t allow your company to fall into a financial crisis. At JFM Accounting & Tax Services, LLC in Annapolis, Maryland, we offer concise tax preparation, accounting, and bookkeeping services. We crunch the numbers and file your records to give you the time to focus on your clients. Our JFM Accounting & Tax Services, LLC team of experts provides complete accounting services. Through our bookkeeping services, we set up a system with account charts and maintain a general ledger to post transactions, make adjusting entries, and close the books monthly. JFM Accounting & Tax Services,LLC assists auditors by providing them the necessary company documentation. We also provide bank reconciliations to verify cash and banking transactions and procure financial statements that consist of a balance sheet and income statement for reporting purposes. For individuals who are exploring the idea of starting their own business, we help you structure a business for success. JFM Accounting & Tax Services, LLC helps all industries with an emphasis on nonprofits. Business management is particularly beneficial for small business, self-employed entrepreneurs, and individuals. At JFM Accounting & Tax Services, LLC we take your financial ambitions very seriously. We can work with you in person or remotely, if that is more convenient. We use both versions of QuickBooks™: Desktop and Online for optimal organization. If you are interested in learning about QuickBooks, we offer training services through their ProAdvisor Program for individuals and small business owners. Contact us for more details on the QuickBooks training course. JFM Accounting & Tax Services, LLC understands the importance of reporting accurate taxes. 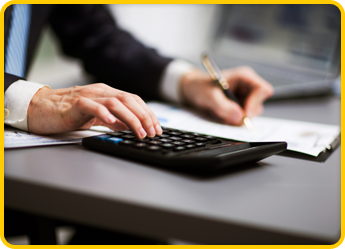 We get you ready for tax season by closely working with you to get the most accurate tax reporting possible. Our services are available for individuals, LLCs, S corporations, C corporations, and partnerships looking to have their taxes done thoroughly.